Reusable syringes for veterinarians and breeders. For over 50 years ARDES have been manufacturing syringes for use in cattle farms, pigs, sheep and goats. Internationally approved by breeders and veterinarians, ARDES french manufactured products perform to the highest quality. ARDES offers syringes in 10mL, 20mL, 30mL and 50mL for the administration of nutritional solutions and high precision vaccines. 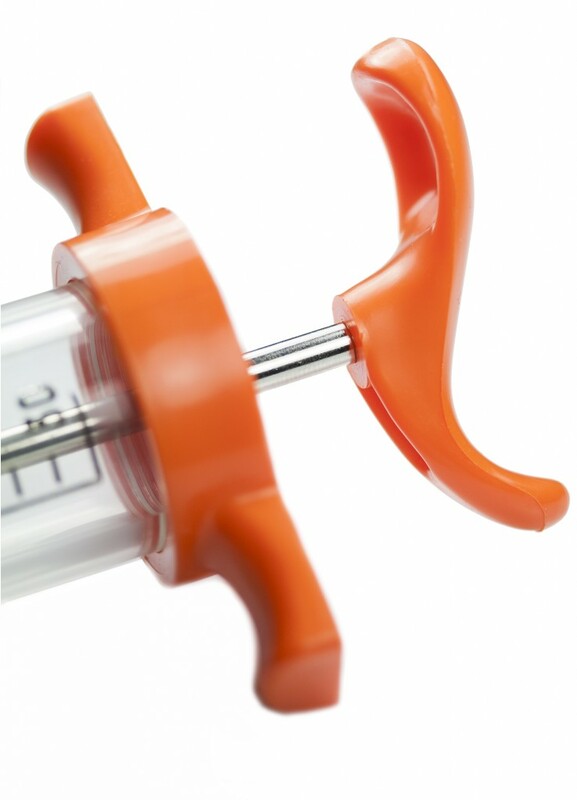 Durable, reliable and comfortable- ARDES syringes allow for intensive use of product. Durability is a key differentiator for the ARDES syringe. Made from high quality plastic materials, the ARDES syringes guarantee resistance to all known chemicals and are virtually unbreakable. With each use, the ARDES syringes provide total reliability. 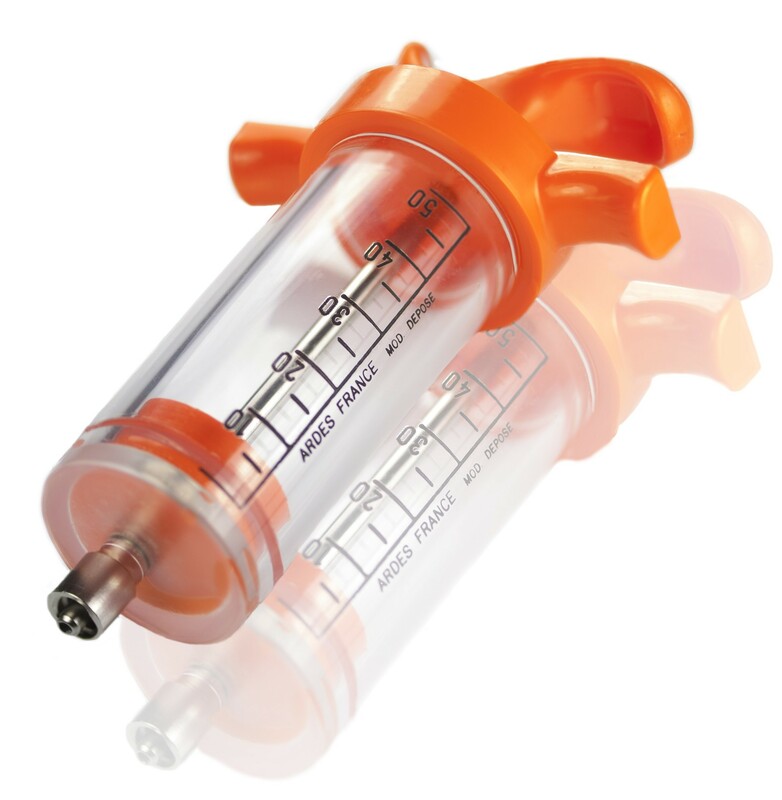 The indelible graduation on the syringe enables accurate use. Furthermore, the injection is leak-free thanks to a silicone gasket designed by the company’s technical team. Moreover, thanks to its removable body, ARDES product can be fully sterilized. Finally, ARDES are committed to ensuring its users enjoy unparalleled comfort with an ergonomically designed handle and high quality seal that allows for effortless use.